Late last week a report from TechCrunch set the digital world ablaze. In this report TechCruch quoted several unnamed sources within Google saying that the team working on Google+ would be downscaled drastically, with over 1000 staff re-allocated to different projects. This follows in the wake of Google+’s chief Vic Gundotra’s departure from Google, which remains mostly unexplained with no substantial reason given for his sudden departure. Should we take the stories from TechCrunch and the Financial Times at face value – and so far no Google source has confirmed in any official capacity that Google+ is undergoing any drastic change at all – we will have to prepare for a dramatic shift in how Google+ is positioned, and how we as digital marketers are currently using the platform. At this moment I should admit, for those who haven’t been following my rants over the years, that I am a Google+ skeptic. While I was wowed by the platforms capabilities at launch, I quickly felt that it would not work as a social network. At least not before I see people in my social circles who are not part of the technology and marketing sectors embrace it en masse. Suffice to say, that has not happened, despite Google’s best attempts to cram Google+ down our throats with forced integration of almost every conceivable Google system. Especially the move to integrate YouTube with Google+ was ill-received, and the activity numbers that Google regularly boasts about to show Google+’s growth as a network are always taken with a healthy pinch of salt – for a network purporting to be second only to Facebook, precious few non-techie folks were active on it at all. Google’s own metrics for ‘activity’ on Google+ did not seem to align with how most people would measure active participation in a social network. Should the rumours prove to be true, and Google+ will cease to be a ‘user-centric social network’, that doesn’t mean the platform will disappear. 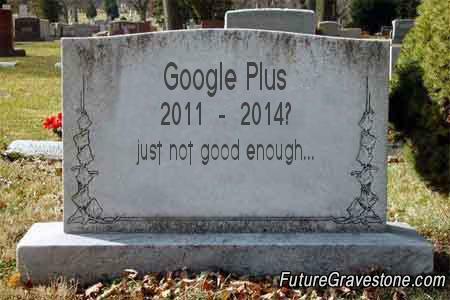 Google has invested too much in Google+ to simply pull the plug entirely. Google is definitely not going to give up the hard-won data it has gathered on people’s social circles, online activities, and device usage, as this is advertising gold dust and key to Google’s continued profit maximisation efforts. Instead Google+ is very likely to evolve more in to a background system used by Google to enforce unified accounts and to track usage of different systems across multiple platforms and devices. The Google+ front-end we know today as a full stream of social sharing, voting, and commenting activity, will possibly be retired or replaced with a different and more simplistic type of activity dashboard that updates us on what our circled friends are doing and what’s happening in our direct environment – sort of an upgraded Google Now perhaps. There is also some speculation as to how Google+’s ‘retirement’ will impact on Google’s overall direction, with Danny Sullivan saying it will likely follow Facebook’s path towards more fragmented and specialised services and away from the singular everything-to-everyone unified system Google+ seemed intended to be. This would mean Google’s move to create separate apps for Hangouts and photos would have been a prophetic one, perhaps an early indication of the loss of faith in Google+’s centralised approach. I think it is abundantly clear to Google, as it has been to many marketers, that Google+ as a social network has truly and irrevocably failed. What happens next is something I suspect even Google itself hasn’t yet figured out, and I expect many different things will continue to be tried and discarded before Google ever finds its holy grail of social data – if indeed it ever does. Great piece Barry, I found the uptake in the G+ world was by those who were in marketing and / or SEO, I can only think of 3 people in my network who have signed up to it and then never used it at all… Google have invested too much into it, to bury it, so it could be a case of watch this space on how they change it in the next 6-12 months! A Googler confirmed over the weekend that the TC article was a load of crap and nothing has changed at all. All the teams are still together and nobody is moving. Love how TC posts something then every blog jumps on the bandwagon…..
Vic Gundotra leaving is not something to just pass without mention, Matthew. Some of TC’s coverage might have been idle speculation, but G+ is definitely due for some changes. I find articles like this rather annoying and poorly researched. 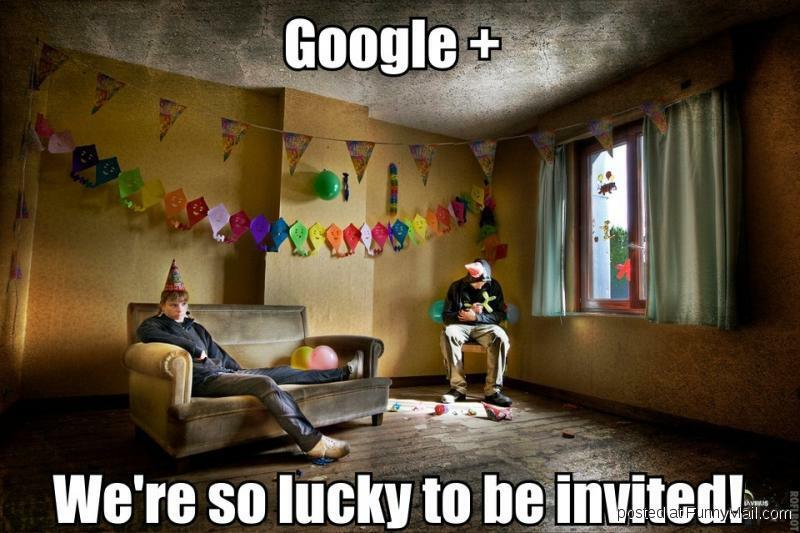 Have you actually looked deeper into what G+ is and how it’s used by its users? I like it because it feels like old school forums and I can find useful tips on specific subjects. That makes it very different to twitter and facebook. It’s also IMO not a public forum. I share a lot of pictures with family and friends that will go unnoticed by onlookers as they are strictly private. I’ve also noticed (in the past year) more and more of my friends and family using it purely for photos. I’m not even sure I know what G+ actually is other than the product of many things. I certainly wouldn’t define it in the singular and I believe it will be around for many years. As a marketer, you should only be using tools and platforms that drive results for your business. G+ might not be that place for you, but those using G+ successfully are creating great content. They’re not creating ads. I can be accused of many things in my writings, but ‘poorly researched’ is not one of them. I know all too well how G+ is used, which is how I know that the people who actively use it are not representative of the wider social demographic. Technologists and (digital) marketers love Google+ and so proselytise its use, failing to understand that because the system works for them it might not necessarily work for people that aren’t like them. Classic tunnel vision. And, like I say in my piece, G+ is not being abandoned. 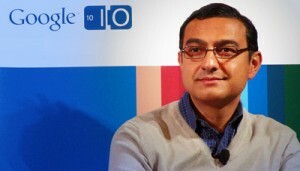 I do believe it will be undergoing drastic change, though, as Google’s internal focus shifts. I think you have hit the nail on the head when you said ‘Google+ is very likely to evolve more in to a background system used by Google to enforce unified accounts and to track usage of different systems across multiple platforms and devices.’ I remember being at a lecture a couple of years ago when someone from Google said that Google+ was the hub that linked all the Google services. Since that lecture, I’ve been thinking of Google+ as less of a user-centric social network and more like a content hub. Was that Google’s intention for it all along but thought they’d give the social angle a whirl? Who knows! I am keen to see what Google have in store for Google+ next. I’d like to see greater definition between a profile and a business page and integration between G+ business and G+ local pages (as well as the ability to monitor for keywords in social media monitoring tools!) Thank you for avoiding the ‘Google+ is dead’ headline. I can see it becoming the next ‘The teenagers are leaving Facebook’.